Sheltered inside the 15ht century building which was formerly Hotel Laval-Castellane, and now a monument historique, the Museon Arlatan is not like the usual museums around the world. This museum is dedicated towards the ethnography of the Provence through its various exhibits. Nearly 35000 objects and documents from everyday life such as costumes, furniture, tools, objects of worship and superstition, books etc. The Service "Public Unit" which promotes collections and their presentation, temporary exhibitions, workshops, concerts, shows, conferences thus giving everyone a chance to know the museum at their own pace. Three distinct collections- the ethnography collection, the collection of Fine Arts and the science collection. Scale models of boats, habitats, tools etc. for educational purposes. In 2009, 15,000 graphic and photographic documents and almost 2000 3D objects were also conditioned in the museum. 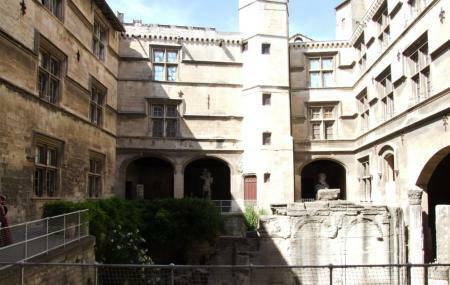 The museum also supports national cultural events such as European Heritage Days, Night of Museums and local festival as Les Suds in Arles and the cravings Rhônements. If Arles’ Roman beauty has become a little too much to handle, the Museon Arlatan is the perfect place to escape into the more recent history however, it is under renovation until 2017. How popular is Museon Arlaten? People normally club together Pure Lavande and Baths Of Constantin while planning their visit to Museon Arlaten. Très beau chantier ... Ça promet ! W obecnej chwili muzeum jest w trakcie renowacji ale miejsce warte zwiedzenia a w szczególności kaplica przynależąca do muzeum ołtarz zapiera dech w piersiach.